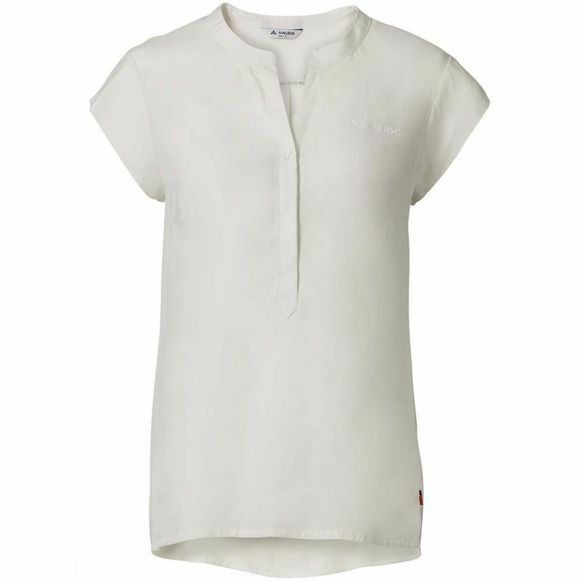 A feel-good shirt for hot summer weather – the airy Womens Atena Shirt from Vaude is made from soft, flowing Tencel material has a smooth, cool hand, transports moisture quickly outward and is fast drying, wrinkle-resistant and easy-care. Eco-friendly Tencel is gentler than silk, cooler than linen and is, to be precise, a wood fibre with a botanical origin. The Atena is also sweat-stain resistant and keeps its shape all day long, two more properties its owner is sure to appreciate. Made in Europe.